Award-winning author DiAnn Mills launched her career in 1998 with the publication of her first book. Currently she has fifty books in print and has sold over 1.5 million copies. 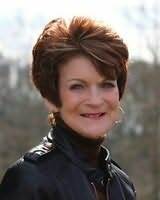 DiAnn is a founding board member for American Christian Fiction Writers, a member of Inspirational Writers Alive, Romance Writers of America's Faith, Hope and Love, and Advanced Writers and Speakers Association. She speaks to various groups and teaches writing workshops around the country. DiAnn is also the Craftsman Mentor for Jerry B. Jenkins Christian Writers Guild. She and her husband live in sunny Houston, Texas. "What more can any woman want? Sisters, Ink weaves the love of sisters, the fun of scrapbooking, and a romance as sugary and tingling as Sweet Home Alabama. A must read for those who love southern fiction." "Popa's novel showed me that the simple life can be a spiritual feast - and a chance to help others. A riveting read that taught me much about myself." "Connie Mann has penned a romantic suspense that captures the reader on the first page with a deadly secret and refuses to let go until the last wordmasterful pacing."